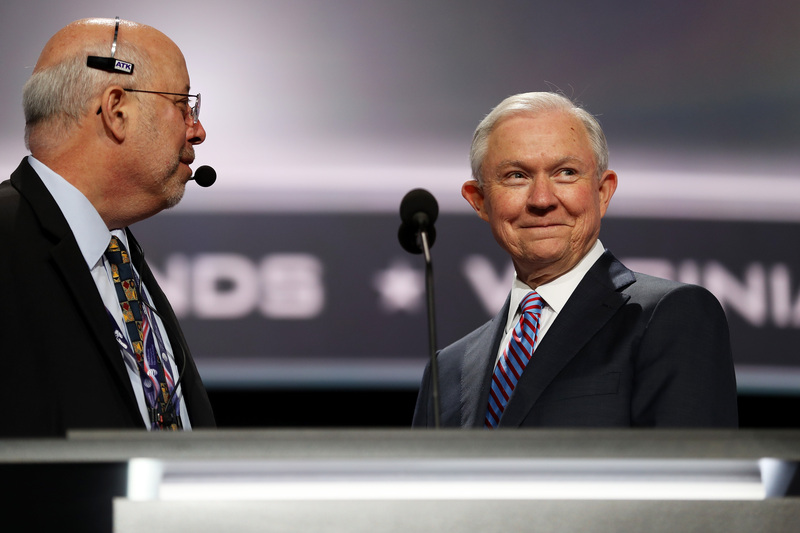 With news breaking Friday morning that Donald Trump has tapped Alabama Sen. Jeff Sessions to lead his Justice Department, many wondered if Sessions could survive a Senate hearing. That's because the last time he went in front of the Senate Judiciary Committee, when Ronald Reagan nominated him to the federal bench in 1986, his nomination went down in flames after testimony from fellow lawyers that he had made numerous racist comments. Among the worst: One colleague said Sessions joked that he thought the Ku Klux Klan was “OK,” until he learned they smoked marijuana. It’s a comment that’s so bizarre that it almost distracts you from the many, multifaceted ways in which it’s offensive. But not to worry: I’m here to try and distill it down to its lowest common denominators of awfulness. Clearly, the headline grabber here is saying that the Ku Klux Klan is “OK,” because, well, it’s far, far from OK. I’d imagine most readers of this site are informed enough to know why, but in case you need one, here’s a pretty concise primer to the atrocities of the KKK. The Klan is responsible for thousands of murders of black people, and has been a symbol of terror wielded against blacks since the Civil War. To suggest that they’re “OK” by itself is hugely problematic. But Jeff Sessions the comedian commits a fatal error of comedy: not being able to read the room, which in this case, is America’s racial history. I believe that Southern white good ol’ boys can’t tell Ku Klux Klan jokes for the same reason that Germans shouldn't tell Holocaust jokes: that is, it might not be totally clear that they’re joking. In fact, the first time I read Sessions’ “joke” I didn’t realize it was one. That "joke" was at best a tone-deafness and at worst a willful ignorance on Sessions’ part when it comes to American race relations. If he becomes the senior-most law enforcement official in Trump’s America, we all (though especially African-Americans) may have plenty to fear.